This past weekend Cynthia and I and our good friends Jack and Kendra loaded up the Mini Cooper's and headed to Blountsville, Al to participate in the 8th Annual Bloom-N-Pie Festival held at Harold and Delois Dunn's daylily farm. 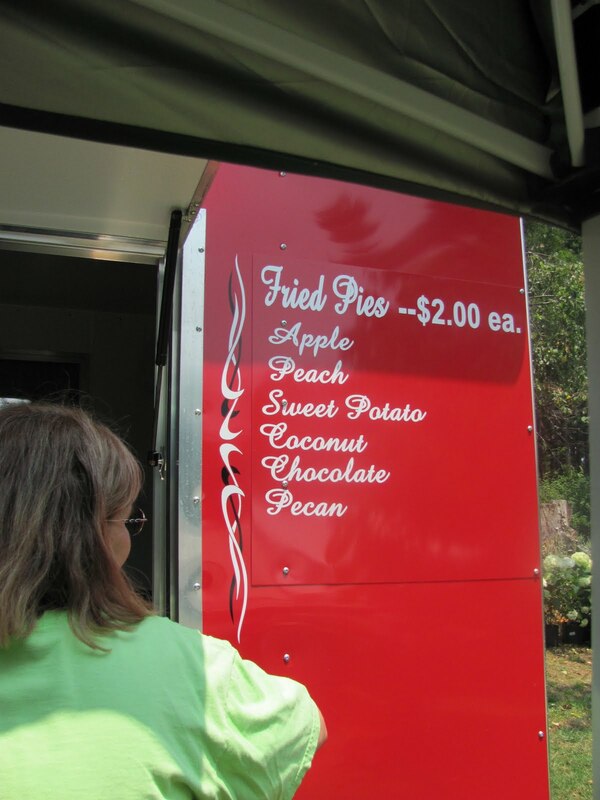 In addition to the 800+ varieties of daylilies they raise, they also are famous for their homemade fried pies. 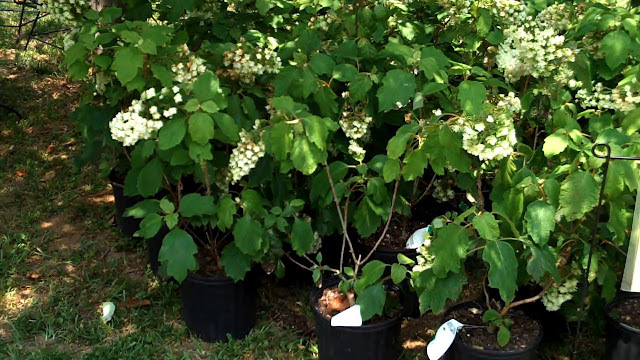 They also have several varieties of hydrangeas for sale, most notably Annabelle, Limelight, and the fabulous "Snowflake" made world famous by Eddie Aldridge from Hoover, Al. I've been trying to find one reasonably priced so I was very excited when I found out they had some for sale. It was a beautiful day without a cloud in the sky and hot as "Hades" with temps in the mid 90's with the "real feel" temps being closer to 100. 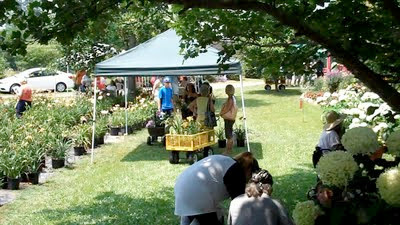 Fortunately, the Dunn's provided several tents as well as shade trees on the property to offer some escape from the sun. In addition, homemade ice cream and drinks were available as well as free ice water. The daylilies were in full bloom and spectacular. I had told myself that I would not buy any daylilies for the following reasons: 1. I did not have a place to plant one, 2. I really wanted a Snowflake hydrangea 3. We took the Mini Cooper to insure that I did not buy very much. 4. Cynthia would kill me if I did. To make purchasing easy the Dunn's provided a handout of all the varieties available with a price list. You could walk through the planted fields and look at all the different varieties in bloom and mark your handout and then go to the potted plants which were arranged in alphabetical order. There was a special section of potted daylilies which were the "premo" varieties which commanded a higher price. Utility wagons were provided to load your treasures and make your way to the check out tent. After looking at all the daylilies I focused my attention on my true desire, the Snowflake hydrangea. Sure enough, they were there and at a price I could not refuse. I also bought a Annabelle hydrangea as a house warming present for my nephew and his wife. She had recently seen one in my garden and stated that she wanted one for the yard at the new house. "The object of my desire"
We could not leave of course without purchasing a few fried pies for the trip back home. I know I said I was not going to buy any daylilies but I found one that I just had to have. It is called Highland Lord and does well in both fun sun and partial shade. We all had a great time and came away with some great plants. Now I just have to find a place to put them. * Dunn's Daylily garden is a registered display garden. They are open daily June 13th through June 30th. The address is: 2395 Skyball Road, Hayden, Al. Thanks Jordi, I checked out your blog also. Loved the pictures from the flower market in Paris, one of my favorite cities. Thanks for visiting my blog. Keep in touch. I'm not much of a day lily fan... but that Highland Lord is fabulous! Hi Carolyn, thanks for visiting. I don't have many daylilies, but I really like the ones I have and after visiting the daylily farm I saw several I may have to make room for in the future. It looks like an enjoyable day! 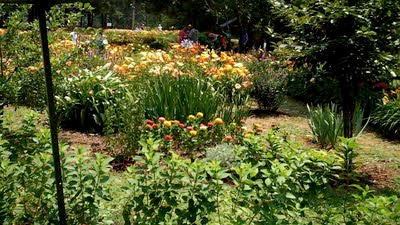 I'm just getting into a love affair with daylilies -- and this trip looks like it was educational as well as entertaining. That Snowflake Hydrangea is a keeper...lovely! Welcome to Blotanical! Thank you Sage. I can't wait for it to grow up.